Early October of 2012, I had the pleasure of meeting Sofia Bournazi via e-mail. 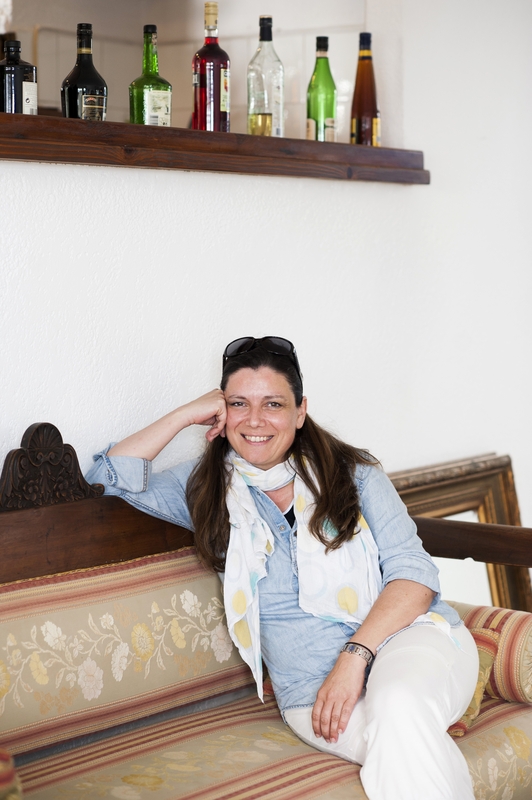 She was Marketing Director for the Halkidiki Tourism Organization and was interested in sponsoring a press trip. As the committee I co-chaired worked putting together this trip, Sofia became a friend and our first trip was organized in May of 2013. Due to the success of the first trip, we worked on a second one for June 2014. This time, my husband Norm and I were fortunate to be part of the group attending. Sofia and I clicked and developed a great appreciation for her marketing ability, work ethic, love of country, and sense of life. Sofia thinks outside the box and has the ability to pull people together to provide successful business and personal relationships and associations. Maralyn: Sofia, what prompted you to focus on tourism as your career? Sofia: The idea of visiting cosmopolitan places and being part of a life-style where everyone was smiling and had a good time has always been appealing to me. Growing up, I discovered that in the tourism business, you help people materialize their dreams. I think that the combination of enjoying what you do and finding a meaning in your job, creates a career. Maralyn: Can you share a little about your company and how you have branched out? Maralyn: You seem to have a knack to bring many different areas of Northern Greece together; was that a challenge? Sofia: The geographical borders of each area do not apply in tourism. When we all travel, we don’t really pay attention where one region or country ends and the other begins; all we care about is how easy it is to travel from one place to another and if we have something interesting to see or do in a close distance. Northern Greece hosted several civilizations during its 3.000 year old history and every one of them left its mark. Therefore, there are several cultural, historical, religious, nature, gastronomy routes for the visitors to explore: the footsteps of St Paul, the residence of the 12 Olympian Gods, the birthplace of Aristotle, the grave of King Phillip II, the palace of Alexander the Great, the Byzantine monasteries, the Ottoman monuments, the Jewish synagogues etc. Maralyn: You do seem to be willing to help visitors and clients discover other areas out of your immediate specialty; is that a challenge? Sofia: Actually, it is self evident for all Greeks that Greece comes first, then follows the region and then the destination. Starting from Halkidiki, it is impossible not to include Thessaloniki city and the nearby regions that, together with Halkidiki, create a complete destination with many special interest packages. In addition, those regions are served by one airport, the airport MAKEDONIA (SKG) of Thessaloniki. For the visitors from U.S.A., this package could be easily connected with Athens so that they experience as much of Greece as possible in one journey. The flight from Athens to Thessaloniki lasts 35 minutes, but there is also a train that goes from Athens to Thessaloniki in about 5-5.30 hours. Maralyn: Can you tell us about how you’ve seen Halkidiki tourism demographics grow since you have started that collaboration for tourism? Sofia: Halkidiki has 100,000 population, but since it is a well known leisure destination, it attracts more than 1,000,000 visitors during summer season. Of course, this has never been a one man show, but a result of synergies between the associations, the businessmen and the local authorities. 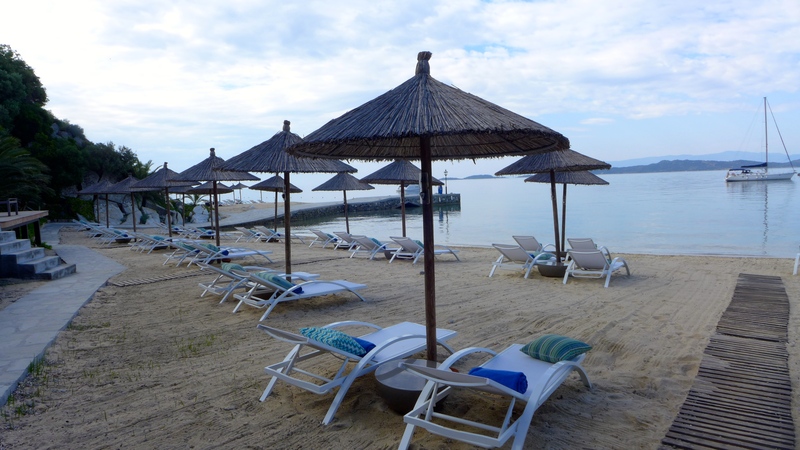 Halkidiki is represented by clusters and associations that operate under the umbrella of Halkidiki Tourism Organization. I am lucky to participate in a team that promotes the destination via a unified marketing strategy which is targeted and specialized. Today, Halkidiki attracts visitors from 30 countries worldwide, protects and certifies its natural and artificial treasures, follows the new global trends in tourism, upgrades its infrastructure and educates the people that work in the tourism business. 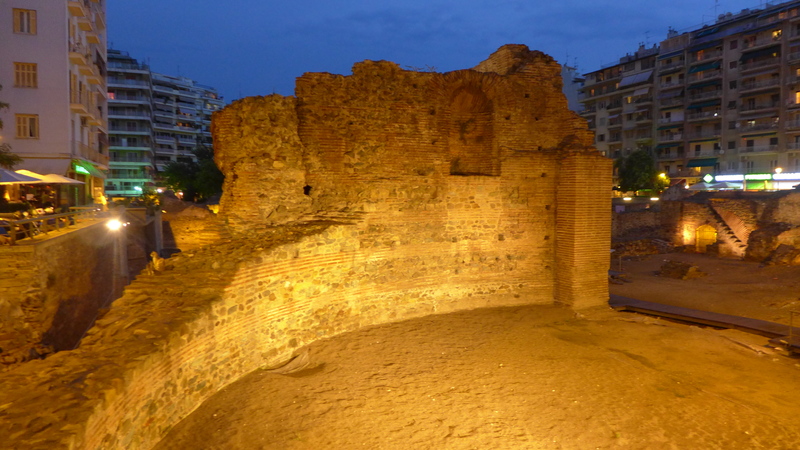 Maralyn: With Thessaloniki being the second largest city in Greece, it is such a vibrant destination. With a direct flight from Philadelphia being added in 2015, do you see that as bringing more tourism to Northern Greece? Sofia: I wouldn’t wait for the direct flights or count on specific airports, because I would have to put limits. Let me put it this way: the airport of Thessaloniki is already there and has already flights from Athens 4-5 times a day. Any American visitor can travel to Athens, stay for a few days and then visit Thessaloniki or vice versa. Most people who visit Greece fly from Athens to Santorini or Mykonos islands. This means that they already have at least one internal flight. What we are looking for is to add the package of Athens-Northern Greece in the existing packages of Athens-Islands or Athens-Peloponnese and do it now! Maralyn: Is there a particular part of your job that is the most fun? Sofia: It is definitely the design of the new projects. When information that seems irrelevant at first glance turns into an idea, and shapes to a project, it’s exciting. For example, we heard about the new trend of sustainable tourism and wondered how we would apply it for Halkidiki. The research revealed that sustainable tourism is not only about green tourism, but also about tradition, local products and authenticity. So we put everything together and the final project was: “Sustainable Halkidiki is the region with UNESCO monuments (Mount Athos monastic community), NATURA 2000 protected forests, ECO LABEL and GREEN KEY certified hotels, BLUE FLAG awarded beaches and marinas, GREEK BREAKFAST in hotels, PRESERVED TRADITIONAL architecture in villages.” This became the leader project of our promotional campaign in 2013-2014. Maralyn: What part of your work is the most challenging? Sofia: I think it is the opening of a new market. Imagine a country that hasn’t heard about Halkidiki before, and we need to built from the beginning the brand of the destination, contacts with airline companies, participation of Halkidiki in Tour Operator’s brochures, promotion of the region via press, until we reach the goal which is getting the first bookings. This procedure is always hard and challenging at the same time. Maralyn: Can you share some of your upcoming projects? Sofia: Continuing the promotion of the Halkidiki region, we plan to individualize press trips and itineraries of guests, trying to offer visitors exactly what they want. This way, we will be able to stabilize our presence in existing markets and enter new ones by providing special interest services that apply to all types of visitors. The second project we will run is the interactive development of www.pass2greece.gr, which in 2-3 months time will not only publish articles but also provide information and answer questions about Greece’s destinations, plus provide special offers to readers. The third project is about organizing quality travel packages for F.I.T.s and groups and suggesting unknown places and new experiences in Greece. Maralyn: I know this puts you on the spot and there are many. But, are you able to recommend a local travel agent for those interested in discovering Northern Greece? (You can list several if necessary). Sofia: Can I introduce myself, not as a travel agency, but as the key company to introduce travel agents according to special requests? If I am allowed to do that, then “…dear readers of Maralyn, if you have requests about travelling to Greece, please address the experts: info@pass2greece.gr . Thank you! Sofia…” Could this be a more obvious advertisement, I wonder! Maralyn: I know this is a lot of work, but we were so impressed with all Northern Greece had to offer, we realize we need to make more than one visit. Could you give us a modified 3, 5, 7, and 10-day itinerary or the ones you think? An alternative would be a highlighted list of how much there is to see. Sofia: Allow me to present some of the interesting things we suggest. The itineraries can always been adjusted accordingly. Maralyn: Sofia, what is your favorite part of your job? Sofia: As you know, Maralyn, if the guests are happy, then we are. Our guests are tour operators, travel agents, representatives of airline companies, media representatives and journalists. Those people are invited by the regional Tourism Organizations to be informed about the destination. If I manage to organize such a Press or a Fam trip that our guests are inspired enough to publish an article or are persuaded enough from what they’ve seen and experienced to sell the destination, I consider this a success. Maralyn: Do you have some special memory that was a “Wow” moment? 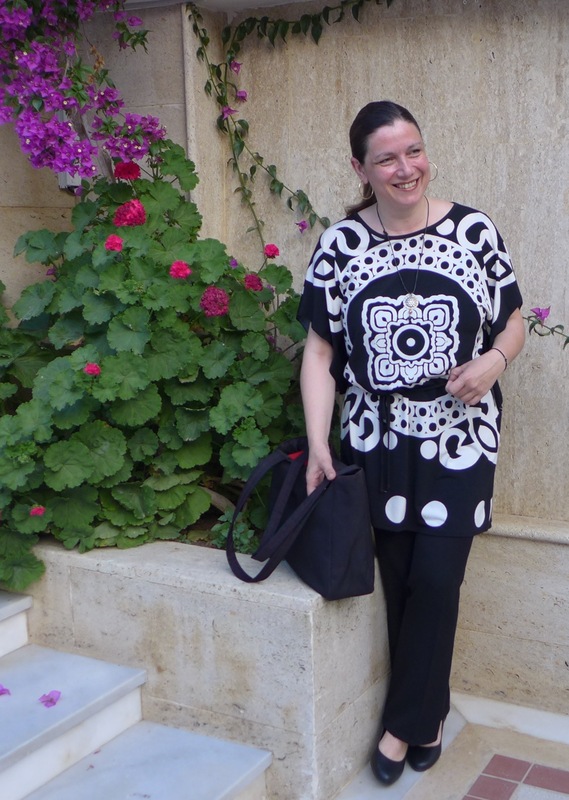 Sofia: Believe it or not, one of my best moments was when I sent the request to host a media trip for the IFWTWA members and you, Maralyn, accepted it… and it was a special moment because I had just realized how easy it was to contact people that I have never met or talked to before if I had a professional approach. The “Wow” moment was when the delegation of IFWTWA finally arrived at the airport MAKEDONIA of Thessaloniki! Maralyn: Is there any other aspect you would like to cover? Please feel free to tell us a little more about yourself and whatever is on your mind. After organizing more than 60 successful fam trips for professionals from all over the world, after 20 years in the tourism industry, after writing more than 200 articles about Greece as a travel editor, I am really serious when I tell you that Greece’s mainland is an unknown world, ready to be explored! Thank you for the interview! Sofia, we thank you for providing us with more insight on how much Northern Greece has to offer and sharing how you go about making your business successful.